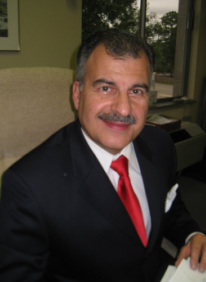 Divorce - George J. Kokorelis, P.C. Divorce proceedings can be complex, confusing, painful, time consuming, and emotionally taxing. You can avoid this stress by having an aggressive advocate representing your interests in court. My office tries to exceed your expectations and to ensure the best possible outcome for you, your family, and your property. My firm provides counsel in all aspects of the divorce process. Whether your divorce is contested,uncontested, not been filed or has been finalized, legal representation is a necessary component to obtaining your fair share of marital assets, protecting separate assets from your partner, obtaining child support and/or spousal support, and determining child custody and visitation schedules. My firm handles divorces that are contested and uncontested. Our strategy to help make your separation run smoothly is a property settlement agreement. This legal agreement would settle important issues, such as post-separation living arrangements, and the equitable distribution of marital assets, in advance. Reaching an agreement with your spouse allows you to retain control over the outcome of your case, rather than allowing a stranger, the judge, to make decisions for your family.